Part 2 How pain actually works. In most instances, painful sensations arise from tissue injury in the body. Sensitive nerve endings pick up pain signals and carry these messages along nerves to the spinal cord and then onto the brain. All along these complex pathways, there are biological “gates” that can be either opened or closed. When these gates are closed, pain is reduced or eliminated. When open, pain messages continue through the circuit. It is when these gates are jammed open that chronic pain cycles begin. As you recall, acute pain is short lived and serves as a warning signal. When you fix whatever is wrong, the pain usually goes away. In the case of chronic pain, pain does not necessarily signal that the body is undergoing more damage. Most chronic pain is caused by a malfunction of the nervous system, either in nerves or the brain. The malfunction or opening of the pain gates causes and endless barrage of pain signals to cycle. Chronic pain then becomes a disease itself, taking on a life of its own. How can we close the gates of pain? 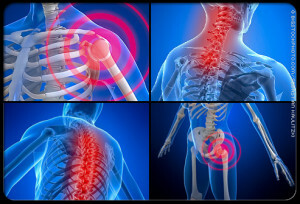 The gates are affected by several factors, most importantly by the pattern of nerve impulses which reach the spinal cord from the rest of the body, and nerve impulses coming from the brain. Sometimes the nerve impulses traveling through the spinal gates can be affected by other forms of physical stimulation. Giving your nervous system a competing source of input can fool the nervous system and alter your perception of pain. There are many ways to accomplish this. You may have noticed that rubbing or massaging a painful area may have relieved your pain in the past. Applying electrical stimulation (e.g. TENS), applying heat or cold, acupuncture, or nerve blocks may also provide a competing source of input. It is also important to realize that certain mental activities or thoughts taking place in the brain can help to close the spinal gates. Another way we can work to close the gates of pain is to affect the release of several chemicals that help pain signals travel to the brain. Neurotransmitters are biochemical messengers that carry pain signals from one nerve cell to the next. The three main neurotransmitters that send pain signals to the brain are substance P, NMDA (n-methyl-d-aspartate), and glutamate. Excess amounts of these chemicals, especially substance P, make it easier for pain signals to reach the brain. Therefore, another way of stopping pain involves manipulating pain provoking neurotransmitters. This can be accomplished by prescription or over the counter medications, acupuncture, injections, hypnosis, or biofeedback. The endorphins are another class of chemicals which are produced in the brain and serve an important role in the pain experience. These chemical are naturally occurring pain relieving substances, similar to morphine or other opiates, produced in the body. Endorphins work on special receptor sites in the brain. They act as keys which unlock receptors thus generating nerve impulses to shut down pain. Morphine and other opiates have similar chemical structures which turn off pain. Several situations or conditions raise endorphin levels in the brain thus reducing pain. They include thinking with a positive attitude, happiness, and regular exercise. It is natural to connect a physical stress to the body, such a broken arm, to the perception of pain. The role of psychological stress may not seem as obvious. The brain structures involved in stress can affect the production of key hormones in the body, suppress the body’s immune system, and activate the autonomic nervous. These are the same biological changes that may occur from physical stresses on the body-the body may not differentiate between physical and psychological stress. The net effects of these changes on the body are to lower our internal resistance to pain, thus further encouraging the chronic pain cycle. Many sources of stress feed into the chronic pain cycle. First off, as you would expect, pain itself is stressful. Pain sensations are perceived as undesirable and are at very least annoying. Pain creates tension, both physical and emotional. Physical tension may show itself as muscle tension or affect the cardiovascular, gastrointestinal, or immune systems. Emotional tension may reveal itself as anger, frustration, worry, depression, or frustration. Both physical and emotional tension, initially set in motion by pain, worsen pain. Thus the vicious cycle of pain is begins-pain leads to tension and tension leads to more pain. A second source of stress comes from all the negative consequences that occur as a result of a chronic pain condition. Chronic pain may create difficulties with family relationships, social or recreation activities, self-esteem, and employment. Yet another source of stress arises from the hardships that can be encountered from the stresses of everyday living. Everything from difficulties putting on your shoes in the morning to difficulties standing long enough to go grocery shopping are added on top of pain-related stressors. In the end, an individual not only suffers from chronic pain, but from chronic stress. Whatever the type of stress, either physical or psychological, the outcome on pain is to worsen it. Chronic stress also may result in other physical ailments such as tension headaches, muscle spasms, gastrointestinal problems, and elevated blood pressure. It can also lead to fatigue, depression, and a sense of hopelessness. Chronic pain can’t always be prevented. But staying in good physical and mental health may be the best way to prevent it or help you cope with it. 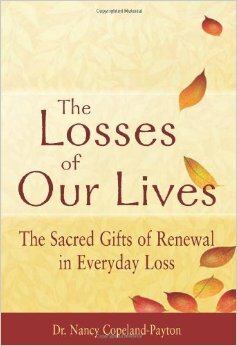 Significant losses in our lives and how to cope with it. For me personally I lost an old friend this year and last year; and anyone out their who has had a loss recently I can relate with providing my deepest condolences to you but know you can move on. Like I told so many last year when my friend Karen died that she is in the next world including a friend Ken this year. Both are in a better world and both are so much happier out of misery but it is us on earth in misery but it will heal in time like a wound. The other thing to know is that both have never left us. They are both with old and new loved ones that they saw all the time and some rarely. They will never leave us helping us get through this rough time just like my father was there in 1999 when he died of cancer but never left me. I know my friends are so much happier, no longer ill and Karen is with her sister who she missed terribly with others she hasn’t seen for a long time. I know she is happier and no longer ill keeping a close eye on all loved ones she had in her life. As long as she is better off I know that is for the better which overrides my misery. Being a RN over 25 years seeing so many types of patients including being a oncology nurse loss of a loved one might be easier for me in dealing with than some but trust me I still have feelings like everyone else in this world. Karen what kills me the most is we reconnected this the year she died and planned to hangout more but God has his reasons for her to leave this world and we couldn’t do more time with each other in this world. I am very thankful I got to see her again last year and was there for her in getting through her few days left. Grief is a natural response to loss. It’s the emotional suffering you feel when something or someone you love is taken away. The more significant the loss, the more intense the grief will be. You may associate grief with the death of a loved one—which is often the cause of the most intense type of grief—but any loss can cause grief, including: Divorce, loss of health, loss of a job, loss of financial stability, retirement, loss of a friendship, loss of a cherished dream (ex. spouses in their own business, planning to get married that never happens, loss of a mortgage on a new home, a loss of a baby, etc…). Symptoms of Grief: Shock and disbelief – Right after a loss, it can be hard to accept what happened. Sadness – Profound sadness is probably the most universally experienced. Guilt – You may regret or feel guilty about things you did or didn’t say or do. Anger – Even if the loss was nobody’s fault, you may feel angry and resentful. If you lost a loved one, you may be angry with yourself, God, the doctors, or even the person who died for abandoning you. You may feel injustice has been done to you. Fear – A significant loss can trigger a host of worries and fears. 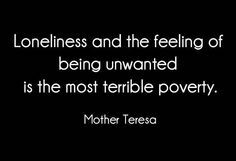 You may feel anxious, helpless, or insecure. You may even have panic attacks. You may feel fears of how do I live without this person. Physical Symptoms – We often think of grief as a strictly emotional process, but grief often involves physical problems, including fatigue, nausea, lowered immunity, weight loss or weight gain, aches and pains, and insomnia. Coping with grief and loss is one get support. The single most important factor in healing from loss is having the support of other people. do not grieve alone. Connecting to others will help you heal. Join a support group – To find a bereavement support group in your area. When you’re grieving, it’s more important than ever to take care of yourself. If you don’t care for yourself you can’t take care of others. 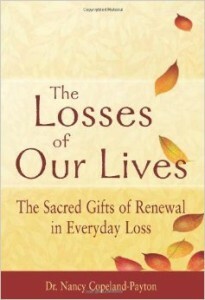 The stress of a major loss can quickly deplete your energy and emotional reserves. Are unable to perform your normal daily activities! This article was done in memory of John Spear, Ken Crumley and Karen Guttridge-Foster-Saher – an old dear girlfriend who I will never forget and have never lost. Block SD. Grief and bereavement. http://www.uptodate.com /index. Accessed Aug. 31, 2012. Dealing with the effects of trauma — A self-help guide. Substance Abuse and Mental Health Services. http://store.samhsa.gov/shin/content//SMA-3717/SMA-3717.pdf. Accessed Aug. 31, 2012. Vale-Taylor P. “We will remember them”: A mixed-method study to explore which post-funeral remembrance activities are most significant and important to bereaved people living with loss, and why those particular activities are chosen. Palliative Medicine. 2009;23:537. Benkel I, et al. Managing grief and relationship roles influence which forms of social support the bereaved needs. American Journal of Hospice and Palliative Medicine. 2009;26:241. Reminders of trauma: Anniversaries. United States Department of Veterans Affairs. http://www.ptsd.va.gov/public/pages/anniversary-reactions.asp. Accessed Aug. 31, 2012. Part 3 Multi effect theory, the causes, the key to Rx. of SIRS-Systemic Inflammatory. Lewis J Kaplan, MD FACS, FCCM, FCCP, Director, SICU and Surgical Critical Care Fellowship, Associate Professor, Department of Surgery, Section of Trauma, Surgical Critical Care, and Surgical Emergencies, Yale University School of Medicine. 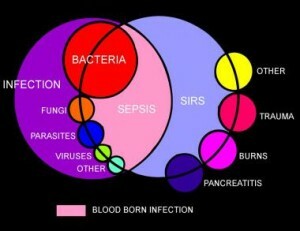 Part 2 SIRS-Systemic Inflammatory Response Syndrome Cascade/Sepsis (how it spreads). It is the body’s response to an infectious or noninfectious insult. Although the definition of Systemic Inflammatory Response Syndrome (SIRS) refers to it as an “inflammatory” response, it actually has pro- and anti-inflammatory components. SIRS is a serious condition related to systemic inflammation, organ dysfunction, and organ failure. It is a subset of cytokine storm, in which there is abnormal regulation of various cytokines. Cytokines are this, the term “cytokine” is derived from a combination of two Greek words – “cyto” meaning cell and “kinos” meaning movement. Cytokines are cell messaging or signaling molecules that aid cell to cell communication in immune responses and stimulate the movement of cells towards sites of inflammation, infection and trauma. Cytokines exist in peptide, protein and glycoprotein (proteins with a sugar attached) forms. The cytokines are a large family of molecules that are classified in various different ways due to an absence of a unified classification system. Protein is acidic as opposed to being alkalinic. Examples of cytokines include the agents interleukin and the interferon which are involved in regulating the immune system’s response to inflammation and infection. SIRS, independent of the etiology/cause, has the same pathophysiologic properties, with minor differences in inciting cascades. Many consider the syndrome a self-defense mechanism. Inflammation is the body’s response to nonspecific insults that arise from chemical, traumatic, or infectious stimuli. The inflammatory cascade is a complex process that involves humoral and cellular responses, complement, and cytokine cascades. Best summarized in the relationship between these complex interactions and SIRS is it is in the following 3-stage process. Here is a simple explanation in what occurs without taking pages in explaining the stages to you. Following an insult to the body, cytokines are produced at the site. Local cytokine production incites an inflammatory response, thereby promoting wound repair and recruitment of the reticular endothelial system. This process is essential for normal host defense homeostasis and if absent is not compatible with life. Local inflammation, such as in the skin and subcutaneous soft tissues occurs. What occurs is rubor or redness at the site that reflects local vasodilation of vessels. What is caused by release of local vasodilation of the vessels at the area of where the insult starts in the body is substances like nitric oxide (NO) and prostacyclin get released=Acidic. Tumor or swelling occurs due to vascular endothelial (layer of the skin) tight junction disruption and the local extravasation of protein-rich fluid into the interstitium (layer of the skin), which also allows activated white blood cells to pass from the vascular space (blood stream) into the tissue space to help clear infection and promote repair. The increased heat primarily due to increased blood flow occurs but also increased local metabolism as white blood cells become activated and localize to the injured tissue. Finally, the loss of function, a hallmark of inflammation and a common clinical finding of organ dysfunction with the infection is isolated to a specific organ (ex. pneumonia—acute respiratory failure; kidney—acute kidney injury. pancreatitis– inflammation of the pancreas). Importantly, on a local level, this cytokine and chemokine release by attracting activated leukocytes to the region may cause local tissue destruction (ex. abscess) or cellular injury (ex. pus), which appear to be the necessary byproducts of an effective local inflammatory response. Local infection signs & symptoms= puss, swelling. skin temperature hot, pain and redness to the where the insult of the body is. Ending line what happens is an insult occurs in the body, there is local cytokine production with the goal of inciting an inflammatory response thereby promoting wound repair and recruitment of the reticular endothelial system. Your body is compensating in reacting normally to this insult. Small quantities of local cytokines are released into the circulation, improving the local response. This leads to growth factor stimulation and the recruitment of macrophages and platelets. This acute phase response is typically well controlled by a decrease in the pro-inflammatory mediators and by the release of endogenous antagonists; the goal is homeostasis. At this stage, some minimal malaise (general weakness)and low-grade fever may become show. Putting it simple what occurs here is small quantities of local cytokines are released into circulation to improve the local response. This leads to growth factor stimulation and the recruitment of macrophages (cells eating up toxins to the body) and platelets (that are cells the coagulate-cause clotting). This acute phase response is typically well controlled by a decrease in the proinflammatory mediators and by the release of endogenous antagonists. The goal is homeostasis – the body still trying to compensate and react productively to this insult to the body. If homeostasis is not restored and if the inflammatory stimuli continue to seed into the systemic circulation, a significant systemic reaction occurs. The cytokine release (acidic) leads to destruction rather than protection. A consequence of this is the activation of numerous humoral cascades and the activation of the reticular endothelial system and subsequent loss of circulatory integrity. The body at this stage is decompensating and not productively fighting off this insult to the body and this leads to end-organ dysfunction. Tune in tomorrow to part 3 of SIRS the conclusion of this topic (extensive noninfectious and infectious causes with more on coagulation and multi cascading reactions in the body due to SIRS).